When I saw this recipe on the fabulous Domestic Gothess blog, I knew I had to make it! With yogurt and ground almonds in the batter and only 1/2 cup of flour, this was a healthier cake. 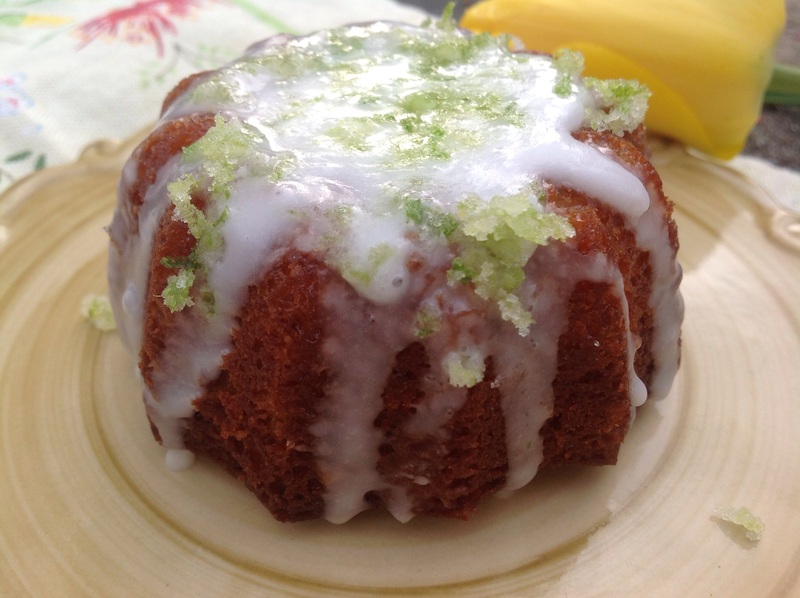 The triple lime hit comes from zest in the batter, a lime syrup glaze on the warm cake and more zest to top the yogurt icing ! YUM! 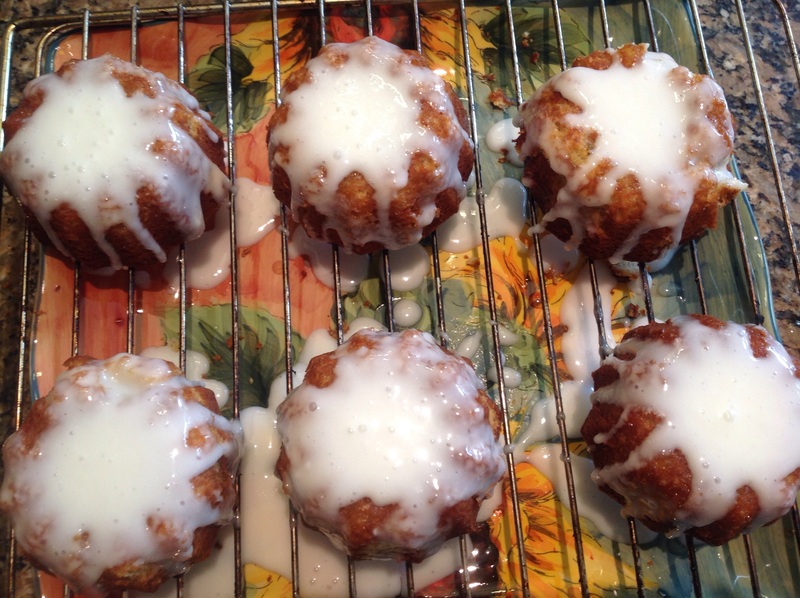 I made them in individual Bundt pans but they can be made as mini loaves or as a whole cake. Adjust the baking time accordingly. Preheat oven to 350F. Grease a mini Bundt pan. Whisk the eggs and sugar until very fluffy. 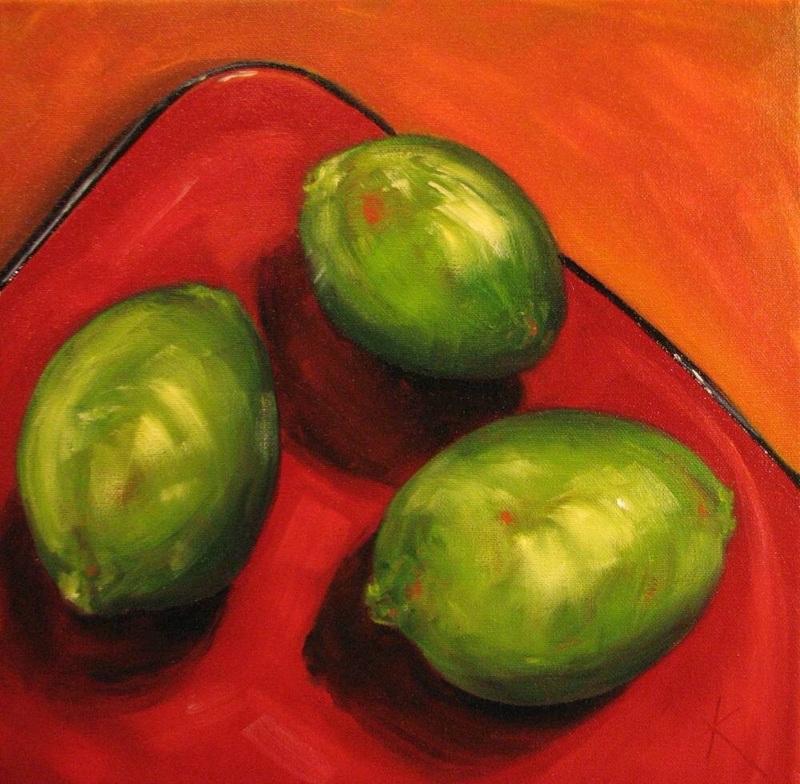 Add in the zest of 2 limes. Mix together the flour, almonds and baking powder. Alternate adding the dry ingredients with the melted butter into the egg and sugar mixture until just incorporated. Do not over mix. Divide the batter among the 6 Bundt tins. Bake on a middle rack for 25 minutes. While the cake is baking, make the syrup by combining in a small saucepan the sugar, lime juice and water and stir, over low heat, until the sugar is dissolved. 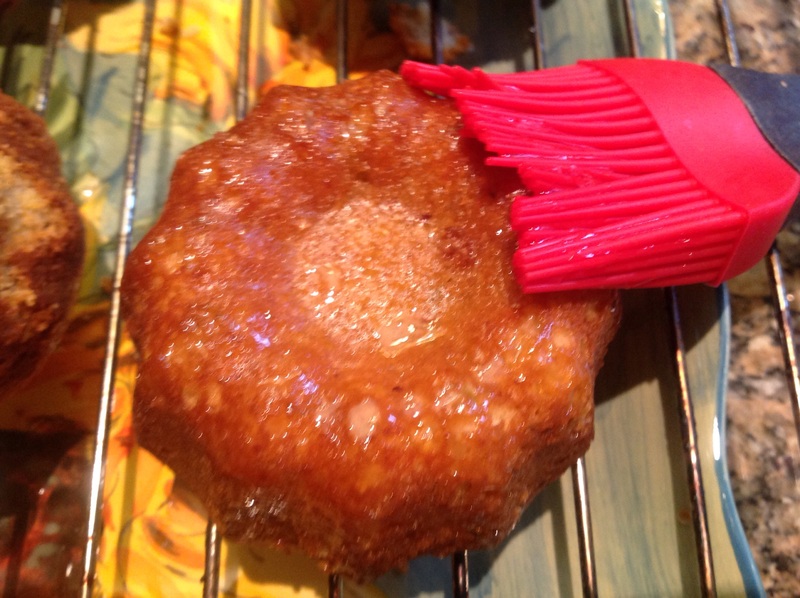 As soon as the cakes can be removed from the tin and working on a cooling rack, prick their surface with a toothpick and brush with the lime syrup, allowing each layer to be absorbed before brushing again until all the syrup is used up. Let cool completely while you make the icing. Mix the icing sugar with the yogurt until smooth and thick but still pourable. Mix the lime zest with the sugar. Glaze each cake with some of the icing, letting it drip over the sides. Top with the sugared lime zest. 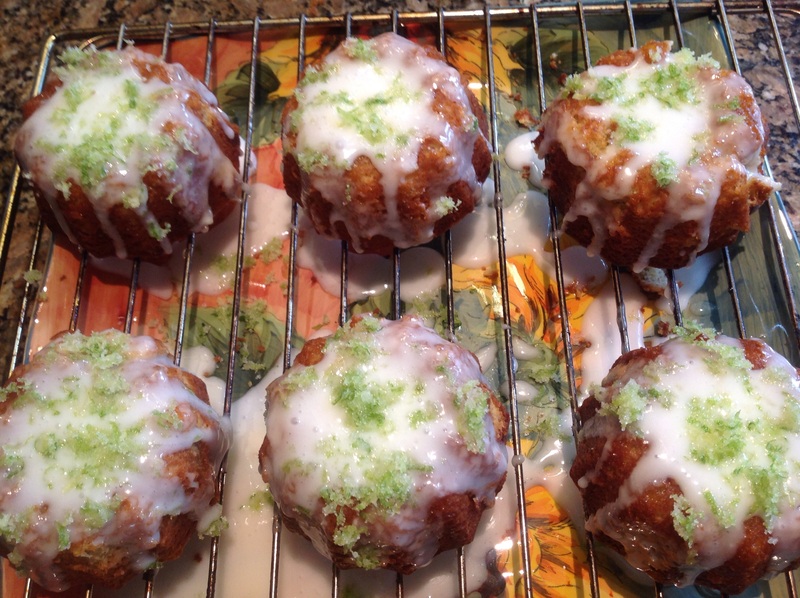 This entry was posted in Recipes and tagged lime yogurt almond mini cakes, Lime yogurt mini cakes by Johanne Lamarche. Bookmark the permalink. Thanks for hosting us Justine! All the credit goes to our very own Dometic Gothess! It was an easy recipe and delicious in a pucker up way! My favorite kind of dessert!!! These mini bundt cakes are so adorable, as were those mini loaf cakes–something about the small size!! Thanks Jhuls! Hannah does have tempting recipes. I had never made icing with yogurt and I loved trying it. Thanks for hosting us this weekend! 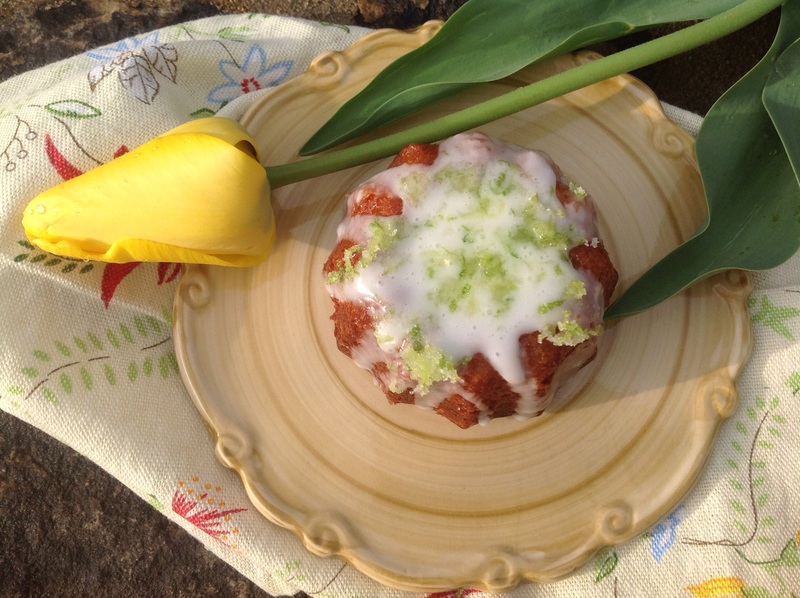 These mini bundts look delicious! I am always trying to think of ways to use those pans that I had to have but hardly ever use. 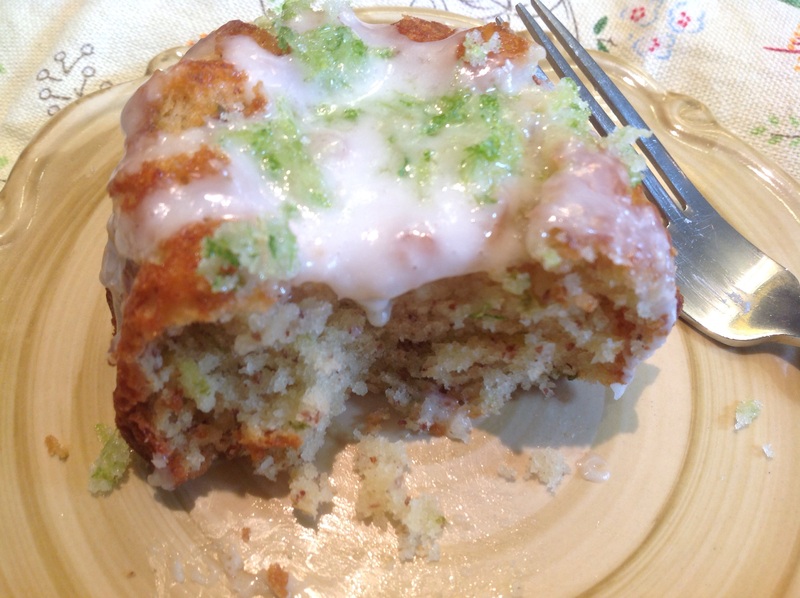 Lime is so yummy and these cakes are perfect for summer! They would be perfect for summer snd even for next year s Cinco! Raspberries or blueberries would go well with them too! Cakes look perfect and tempting. Thank you Neela! I am not particularly tech savvy so You made my day in noticing the links in my post! Thanks for all the pictures. This is beautiful! I love to see when people re-create dishes from blogs I follow. Hope you have a fabulous weekend, and happy FF! Thanks so much! Happy FF weekend too! Thanks Jenna! It was nice to feature a living artist who I could chat with! Thank you Dedy! Mhow come I haven’t seen any of your recipes in a long time? Are you too busy with work to cook, doc???? Oh, wow, Johanne, you chose a humdinger of a recipe there – Hannah does have incredible recipes on her site and I have to say that you have more than done this justice. Love the painting too! Happy Fiesta Friday! Thank you so much Selma! The credits go to Hannah Highly recommend this recipe. Good to hear from you Selma. This may have to be the next cake I make!! !